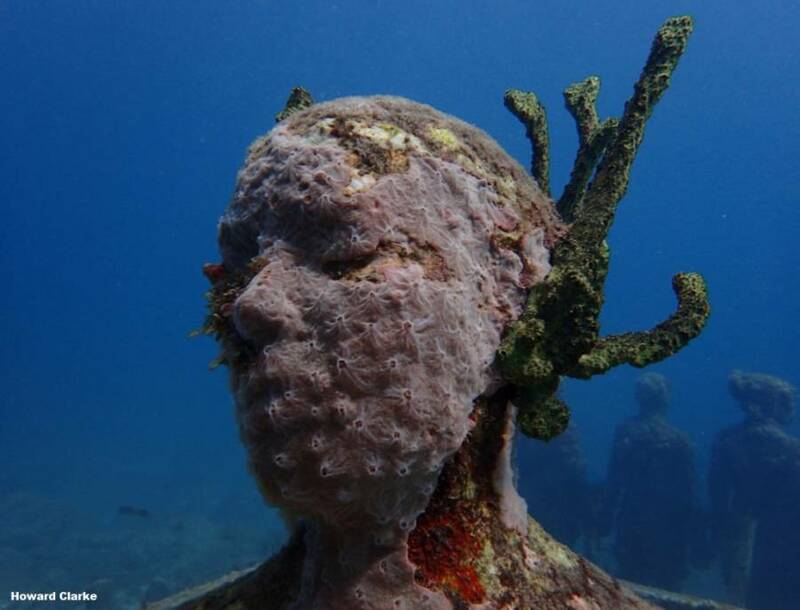 Grenada Underwater Sculpture Management, Inc. (GUSMI), in conjunction with Norwegian Artist Lene Kilde, are proud to announce a new addition to the world-renowned Underwater Sculpture Park in Grenada. 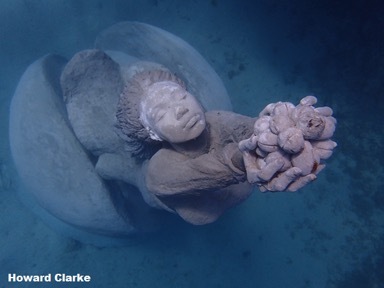 Lene Kilde, a recipient of a prestigious arts scholarship by the Norwegian Arts Council, was inspired by Grenada’s underwater art and applied to GUSMI to make a sculpture for the park. On arrival, Lene totally immersed herself in Grenadian life and culture exploring, experiencing and researching as much as possible to gain inspiration for a sculpture that would not only be helpful to the reef but would also have a strong connection with Grenada. The new sculpture is based on the fabled ‘Nutmeg Princess’, a story by renowned Grenadian Author Richardo Keens-Douglas. The book was recently voted into the ‘Top 100 Books of All Time for Children in Canada’ by Todays Parents. The tale is spun around a beautiful Caribbean princess who lives at Grand Etang lake. With a total weight of 8 tonnes, constructed mainly from concrete and standing 11 ft tall “The Nutmeg Princess” is the biggest, heaviest and most ambitious sculpture that has been installed so far. Although Lene designed it to be in two separate pieces to make transportation and installation easier, the size and weight created logistical problems requiring much bigger cranes and trucks to lift and transport it than GUSMI has ever used before. 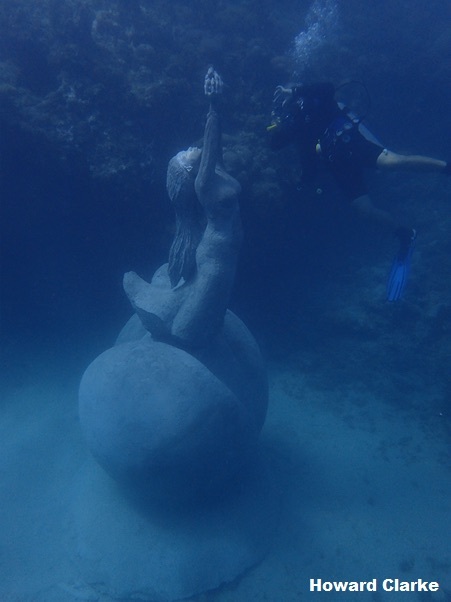 Commercial divers used floats to tow the Princess the three miles to Molinere Bay where they then lowered and positioned the sculpture into her final location. 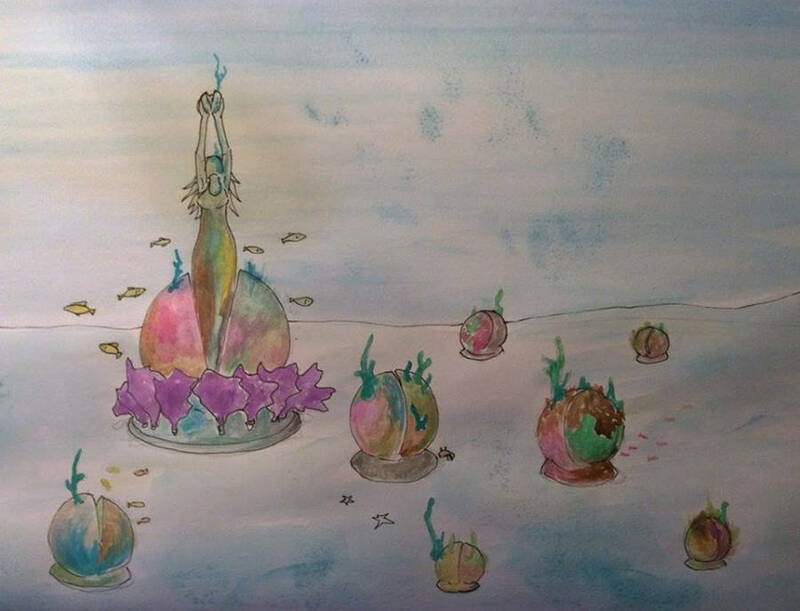 Within a day or two the first algae will begin to grow and the fish will be attracted to it and will begin to feed there. Over the next few years the statue will slowly be transformed by the marine life which will make their home on or near the sculpture. The sculpture can be seen by snorkelling or diving at Molinere Bay which is located within the Molinere Marine Protected Area. As with any reef, visitors are reminded not to touch the reef or the sculptures as the sculptures and marine life growing on them are very fragile and can be easily damaged. GUSMI would like to thank all their sponsors and those who assisted in the logistical building, moving and installation of the sculpture. GUSMI is keen to hear from local artists or sculptors who may wish to be involved in the park’s future development. GUSMI received donations from: Aquanauts, Banana Boat Tours/Shadowfax, Caribbean Aqua Terrestrial Solutions (CATS), Coyaba Beach Resort, Eco Dive & Trek, First Impressions, GEO F Huggins & Co (Grenada) Ltd, Grenada Seafaris Powerboat Adventure, Grenada Sea Fun Adventure, Navicom Marine, SNS Kayaks, St James Travel & Tours, Sunsation Tours, True Blue Bay Resort.